The ratings are in and CNET came up with 10 best laptops each of them having their own quality that made them come in the top 10. While DELL, Hewlett Packard and Sony were in the spotlight Apple also won some place which has been in the laptop manufacturing business for years. Apple has been considered as the cutest and portable laptop manufacturing company without compromising the features and configuration. The title for the best laptop design was taken by Apple’s MacBook Pro which was definitely not a surprise. Although MacBook Pro is pretty much similar to the other laptops of Apple as to why compromise on the looks when you can keep it the same and pimp it up from the inside. 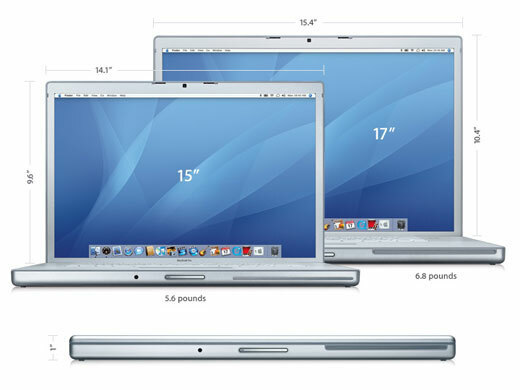 Apple being one of the laptop companies who have kept their style different from all of the others. This is why they are known and trustable companies who have many customers and fans. In the top 10 best laptops that CNET narrowed down to Sony, DELL and Hewlett Packard of course took places but Apple which may be the oldest company manufacturing laptops was titled to have the best design laptop. The Apple MacBook Pro which launched recently was titled with this saying that the company although made tiny changes in the look of its laptops but why change it when they can jazz up the processor with the portable look they already has. Apple’s MacBook Pro which I believe has been launched with two different sets of configuration starting with the best one is the Intel Core 2 Duo T7500 with a processor of 2.2 GHz, DDR2 2GB RAM and a hard drive of 120 GB. 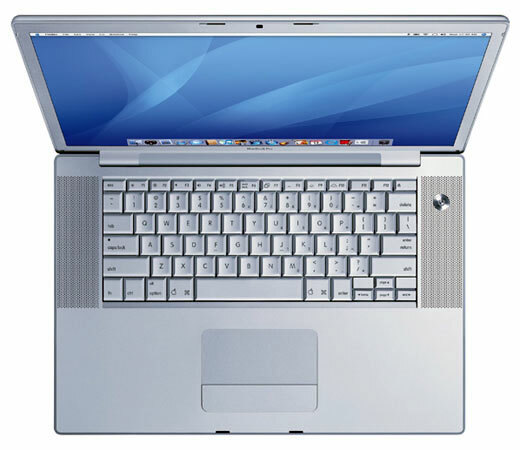 This MacBook Pro model consists of a 15.4” display screen and a NVIDIA graphic card of 8600 M GT with a 128MB VRAM GPU. This one costs almost $3000 while the other model of MacBook Pro has a 1.7 GHz processor of a Core 2 Duo which may be worth $2500 or less. The MacBook Pro is considered to be the best looking, sleek and beautiful laptop in the entire market with a wide keyboard and scrollable touchpad. This one can run Windows XP through a Boot Camp and consists of a built in webcam, DVD burner and remote control multimedia features. The MacBook Pro consists of a touchpad mouse that has the same qualities of an iPhone that can control images and documents with a touch. On the other hand the reviews believe that the MacBook Pro is a little bit more expensive than the other laptops of the same configuration and the software runs slowly on Mac OS. The laptop has 90 days of technical support which is pretty bizarre. In general, the MacBook Pro is not the perfect laptop machine but it is not the worst one either. It may have some flaws including the OS, software and functions but it is great for businessmen who have to do a lot with the audio and video editing. The company gives a discount to teachers and students for almost $1000 so that is a reason to purchase this laptop and secondly very few laptops at this time can try to win with the fantastic look of the Apple’s MacBook Pro. The purchase of this machine may not come to you as regret due to the great reviews it is getting. You can further browse its specifications, features and functions to make an inform decision for yourself.